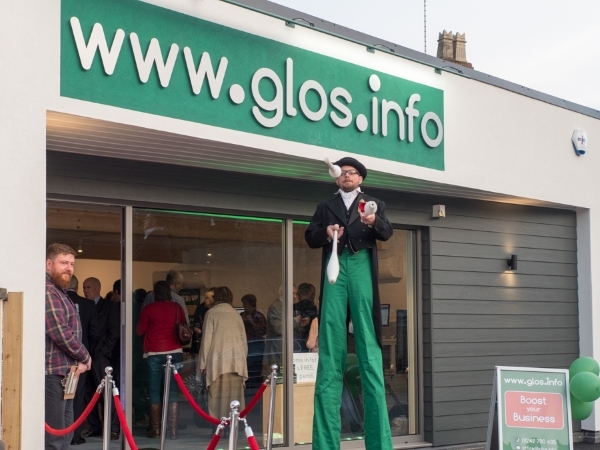 Our www.glos.info shop is now open at 89 Andover Road, Cheltenham. Everyone is welcome to come in and visit us as we are open 9.30am - 5pm every Monday - Friday. 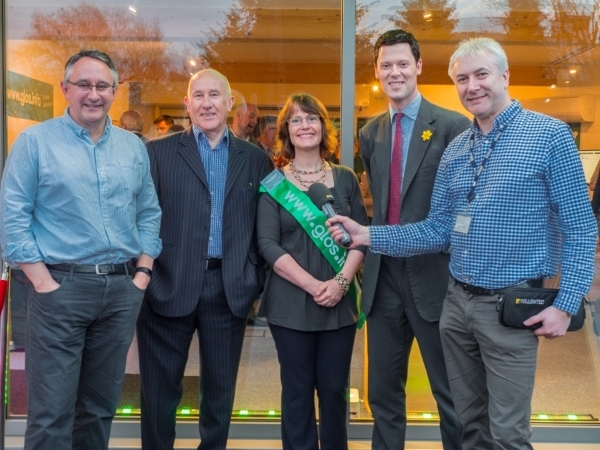 We had an official launch evening in March 2017, which was attended local business people and politicians. For full details of the competition winner with quotes from Nigel Knowlman and Stagecoach West, please click here. 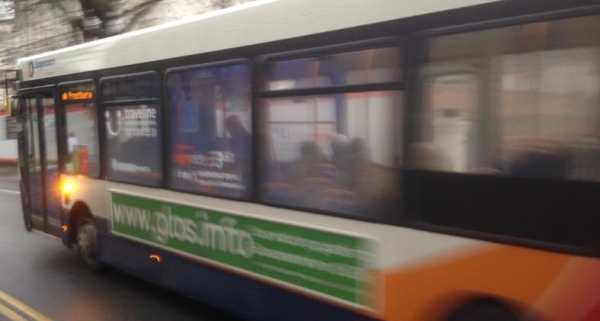 In October 2015, www.glos.info launched a completely revamped website. After many weeks of behind the scenes planning and programming, we finally got there and have gone live with the site. You will see that it is now much easier to find the different categories, such as Property, Vehicles, Directory and Events all for Gloucestershire. We would welcome your feedback, so do let us know what you think on office@glos.info. A generous Cheltenham company has pledged support for Bob Geldof’s Band Aid 30 campaign to tackle the Ebola crisis in West Africa. 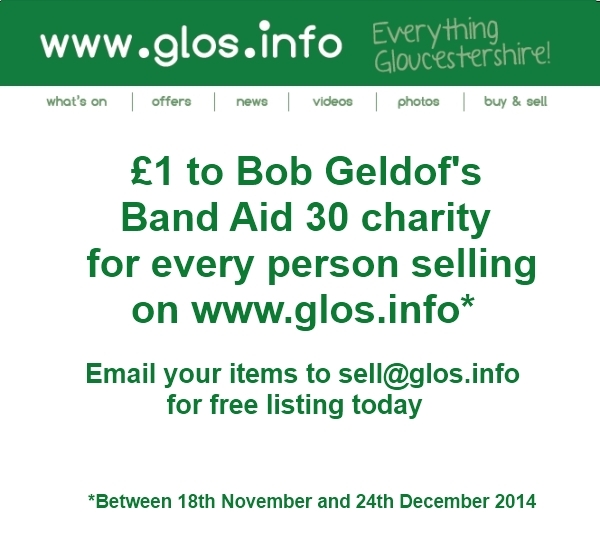 Glos.info (www.glos.info) hopes to bolster the famous musician’s efforts by around £1,000 by Christmas Eve. The website’s founders will donate £1 from their own pockets for every person who sends in items for a free listing on the ‘Buy and Sell’ section - www.glos.info/sell - between now and December 24th 2014..
Belinda Wilson, director of Glos.info and GFirst LEP Ambassador for Gloucestershire, said: “We want to do our bit to help tackle Ebola and Bob Geldof’s Band Aid 30 campaign brings hope and optimism, as well as vital funds which can make a difference. Thirty two of Britain's biggest music stars recently recorded the 30th anniversary version of the ‘Do they know it is Christmas?’ single. Bob Geldof has insisted 100% of proceeds will go towards the relief effort and claimed a focused effort can put a stop to the Ebola crisis that could otherwise grow to be a worldwide problem. The current outbreak of the deadly virus was first reported in March and has killed more than 5,000 people, almost all in West Africa. 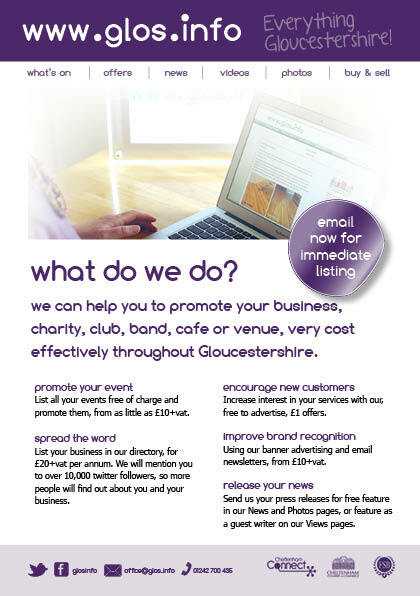 Look out for our new www.glos.info flyer, which we will be circulating soon. Do let us know if you see one or receive one.